The President of the United States of America takes pleasure in presenting the Navy Cross to Ensign John Arthur Leppla, United States Naval Reserve, for extraordinary heroism in operations against the enemy while serving as Pilot of a carrier-based Navy Scouting Plane in Scouting Squadron TWO (VS-2), attached to the U.S.S. LEXINGTON (CV-2), in action against enemy Japanese forces over enemy-controlled waters near Lae and Salamaua, New Guinea on 10 March 1942. Ensign Leppla pressed home, in the face of heavy anti-aircraft fire, a vigorous and determined dive bombing attack on enemy ships, and as a result of this attack at least one ship was sunk. His outstanding courage, daring airmanship and determined skill were at all times inspiring and in keeping with the highest traditions of the United States Naval Service. The President of the United States of America takes pleasure in presenting a Gold Star in lieu of a Second Award of the Navy Cross to Ensign John Arthur Leppla, United States Naval Reserve, for extraordinary heroism in operations against the enemy while serving as Pilot of a carrier-based Navy Scouting Plane of Scouting Squadron TWO (VS-2), attached to the U.S.S. LEXINGTON (CV-2), in action against enemy Japanese forces during the Air Battle of the Coral Sea on 7 and 8 May 1942. On 7 May, Ensign Leppla participated in a dive-bombing attack on an enemy Japanese aircraft carrier and contributed materially to the destruction of that vessel. On 8 May, as a member of the anti-torpedo plane patrol he faced severe fighter opposition to make repeated and fierce assaults against attacking enemy planes. 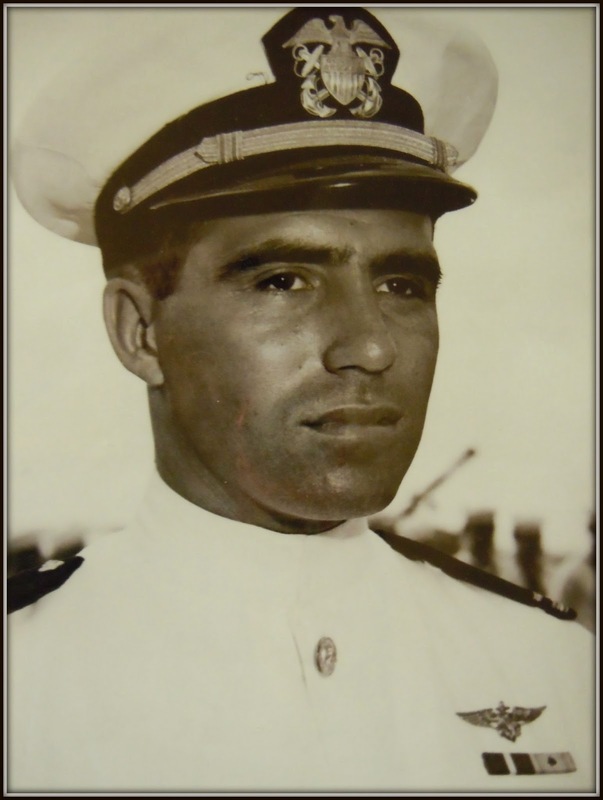 His courageous and determined action in this engagement resulted in the destruction of three enemy aircraft, and was in keeping with the highest traditions of the United States Naval Service. Worthy of a second Navy Cross, Leppla was promoted to Lieutenant (Junior Grade). A member of First E&R Church, we pay tribute to our courageous hero who was listed as missing in action and presumed killed on October 26, 1942. In memory of John Leppla & his distinguished service to our Nation, his headstone of Honor can be found in the Arlington National Cemetery. For many years, the annual Mother & Daughter Banquet was held in our Fellowship Hall. 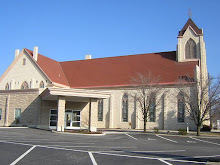 The event was sponsored by the Women's Guild, an organization which includes all women of the church.